[S160] Unknown volume, Vance County, N.C. Birth Register: Vol 13, pg 694, Register of Deeds Vance Co., NC Courthouse. 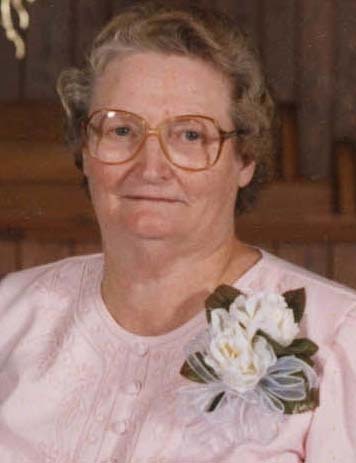 Birth*: Lois Fenner Faulkner was born on 4 June 1910 at Henderson, Vance Co., NC. She was the daughter of George Thomas Faulkner and Carrie Belle Brame. She was the daughter of William Joseph Green Faulkner and Lillian Anna Belle Faulkner. [S2261] 1930 Washington Co., Tenn. Census. He was the son of Joseph Faulkner and Lucy Mangum. 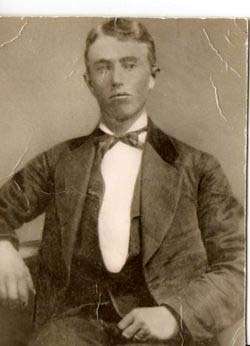 (Witness) Marriage: Lorenzo Dowd Faulkner witnessed the marriage of John A. Faulkner and Eliza Renn 14 Feb 1877 at Kittrell TWP, Granville Co., N.C; John A. Faulkner, age 23, of Franklin Co., married Eliza Renn, age 21 of Kittrell TWP on 14 Feb 1877. They were married by M.R. Pinnell at Thomas Moss's house. John listed his parents as Edmond and Polly Falkner and stated that they were both living. L.D. Faulkner and __ Biggs were witnesses. L.D. Faulkner signed an oath stating that he was acquainted with John A. Falkner and Eliza Renn of Kittrell Township and knew that they were both over eighteen years of age. [S1402] Granville Co., N.C. Marriage License unknown file number. 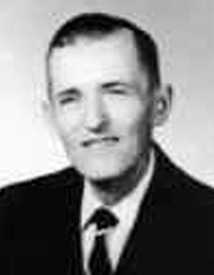 He was the son of Lorenzo Dowd Faulkner and Nannie Russell Falkner. [S187] Letter, Maria P. Faulkner to John L. Faulkner, E:Mail dated 4 Feb 1999. Birth*: Lottie V. Faulkner was born in June 1877 at NC. She was the daughter of George W. Faulkner and Tabitha A. Mangum. Marriage*: Lottie V. Faulkner married William Henry Stratton on 24 May 1903 at CO.
Death*: Lottie V. Faulkner died on 14 August 1946 at Denver, Denver Co., CO, at age 69 . [S2443] 1920 Denver Co., CO Census. Birth*: Louisa Faulkner was born on 6 September 1868 at NC. She was the daughter of Leander Faulkner and Rebecca Jackson. Marriage*: Louisa Faulkner married Richard Ervin Bland on 17 February 1889 at Lenoir Co., NC. Death*: Louisa Faulkner died on 22 April 1956 at Lenoir Co., NC, at age 87 . She was the daughter of Dr. Thomas Henry Faulkner and Julia Bryan White. Birth*: Lucinda Ann "Lucy" Faulkner was born circa 1832 at NC. Birth*: Lucy Faulkner was born circa 1852 at NC. She was the daughter of William H. "Willie" Faulkner and Nelly Faulkner. [S632] 1900 Wake Co., N.C. Census, pg 254 a. She was the daughter of Edmund Faulkner and Polly (Mary) Greyard. Death*: Lucy A. Faulkner died before 15 November 1901 at NC . Birth*: Lucy Lillian Faulkner was born on 10 June 1898 at Vance Co., NC. She was the daughter of John Henry Faulkner and Mary Gertrude Skittletharpe. [S236] Unknown volume, Forsyth Co., N.C. Death Certificate: Vol 1, page 274, www.Ancestry.com. She was the daughter of John A. Faulkner and Louisa Eliza Renn. She was the daughter of James Fletcher Faulkner and Parthenia Loyd. She was the daughter of Hilliard Lewis Falkner and Lucy Jenett Pernell. She was the daughter of Early Howard Faulkner and Ida Pearl "Pearlie" Faulkner. [S69] Unknown author, The Heritage of Vance County, N.C., pg 173. [S537] Letter, Maria Faulkner to unknown recipient, Aug 2000. 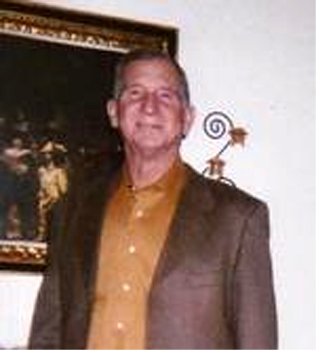 Death*: Luther Franklin "Frank" Faulkner died on 19 January 2013 at Pensacola, FL, at age 59 . Birth*: M. Faulkner was born circa 1836 at GA.
She was the daughter of Peter Franklin Faulkner and Caroline W. Warren. [S39] 1850 Haywood Co., Tn. Census, pg 53. Birth*: Mabel Faulkner was born on 9 August 1911 at Henderson, Vance Co., NC. She was the daughter of Matthew Faulkner and Etta May Morris. [S1330] Greensboro News and Record, 11 Jul 1990. [S1478] Joan Dorsey, Jason & Joan's Family Tree. Birth*: Mable Pearl Faulkner was born on 16 November 1915 at Sandy Creek, Vance Co., NC. She was the daughter of Samuel Thomas Faulkner and Ada Lee Vaughan. [S1455] Greensboro Daily News, 16 Dec 1934. 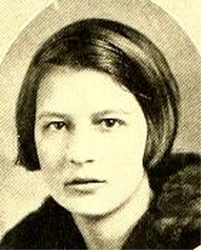 She was the daughter of Isom Ceymour Faulkner and Ella "Edd" Price.